Our PVC piping comes in handy if a builder likes to design a home with heating and cooling under the floor rather than in the roof. It’s especially useful if the home will not have a crawlspace, as this helps to make space for metal ductwork. For the houses that are built on a concrete piece, our PVC ductwork is a preferable strategy to being placed directly beneath the floor. PVC material also defends against moisture-related corrosion that can take place at the floor level. Our PVC ductwork gives the home builder more flexibility when designing a house when installing grates in the floor. In addition to structural considerations, PVC prevents corrosion from moisture and radon infiltration. Our PVC allows for the flow and venting of harmful gases and vapors. These gases and vapors can pollute and have an adverse affect on health and confined spaces. Heating and cooling is essential in these environments, so it is a critical consideration to comply with health and safety regulations set in place by federal and state agencies. 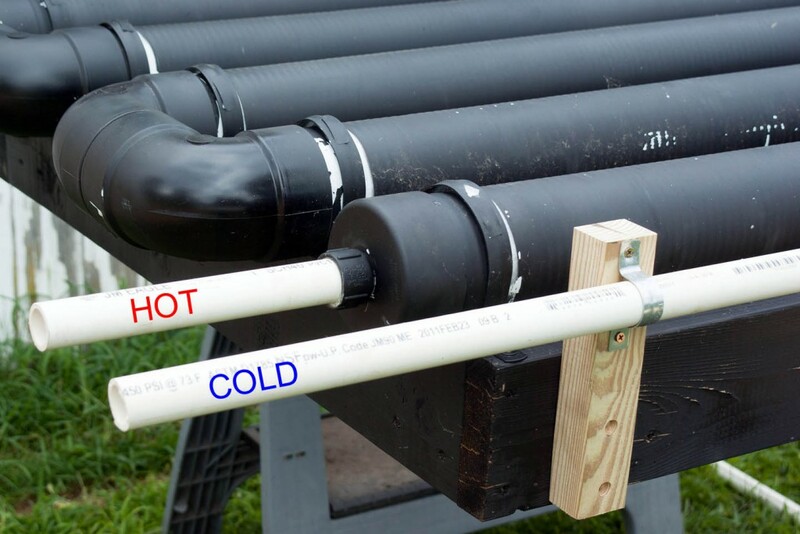 One common DIY PVC project Bryan Hose & Gasket sees is household organizers. This can be in the form of desk organizers, shoe racks, hair device organizers, toothbrush organizers or even organizers for garage tools. If you are one that has a difficult time keeping your desk organized—pens, pencils, sharpies and other various office supplies scattered everywhere, then Bryan Hose & Gasket’s PVC can be a great tool to help you get organized! Another common DIY PVC project Bryan Hose & Gasket has noticed among our customers is gardening tools. There are many different ways to go about using pipes for your home garden, including vertical strawberry tube planters, greenhouses and vegetable garden borders can all be created using PVC piping from Bryan Hose & Gasket. Bryan Hose & Gasket has also noticed that many of our customers will purchase PVC piping to create kid-friendly games and activities, especially during the summer time. These DIY PVC projects include panpipes and pan flutes, xylophones, toy shooters and homemade sprinklers! These are just a few of the many ways PVC from Bryan Hose & Gasket can be used. Don’t hesitate to contact us with the link below for more information or to purchase your PVC piping today! Next Next post: PVC vs. CPVC: What’s the Difference?